Welcome to Muffin Tin Monday! This week I am in Iowa, as part of a tour on behalf of the Soyfoods Council. 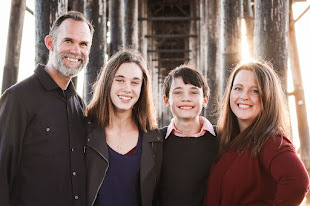 You can follow along throught the facebook page, twitter and instagram. To learn more, click here. 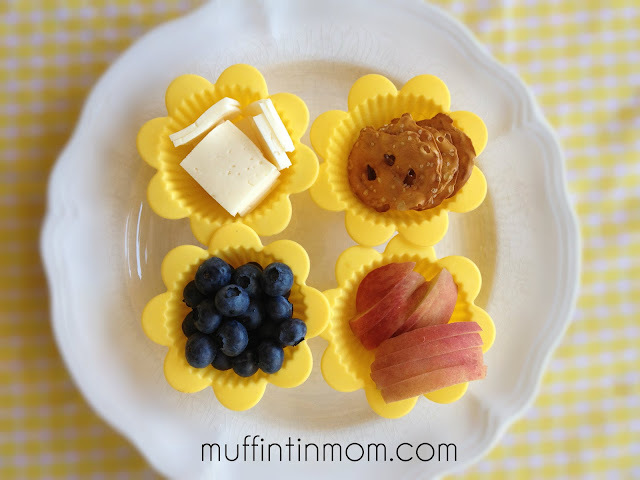 For this week's muffin tin meal, I arranged 4 flower muffin cups on a plate for a light afternoon muffin tin snack. Perfect for slow summer days. In this muffin tin: havarti cheese slices, pretzel crisps, white peach slices, and blueberries. Silicone flower cups are made by Wilton and are available online through amazon or at your local Michael's or Hobby Lobby. They come in a 12 pack with 6 yellow and 6 pink. Now, it's your turn. Won't you join in? Yum! Those cups look like sunshine!